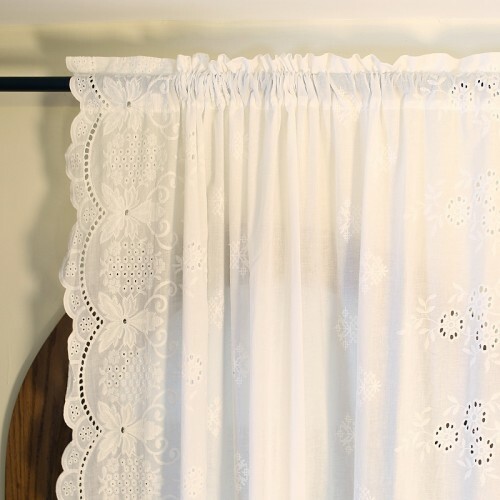 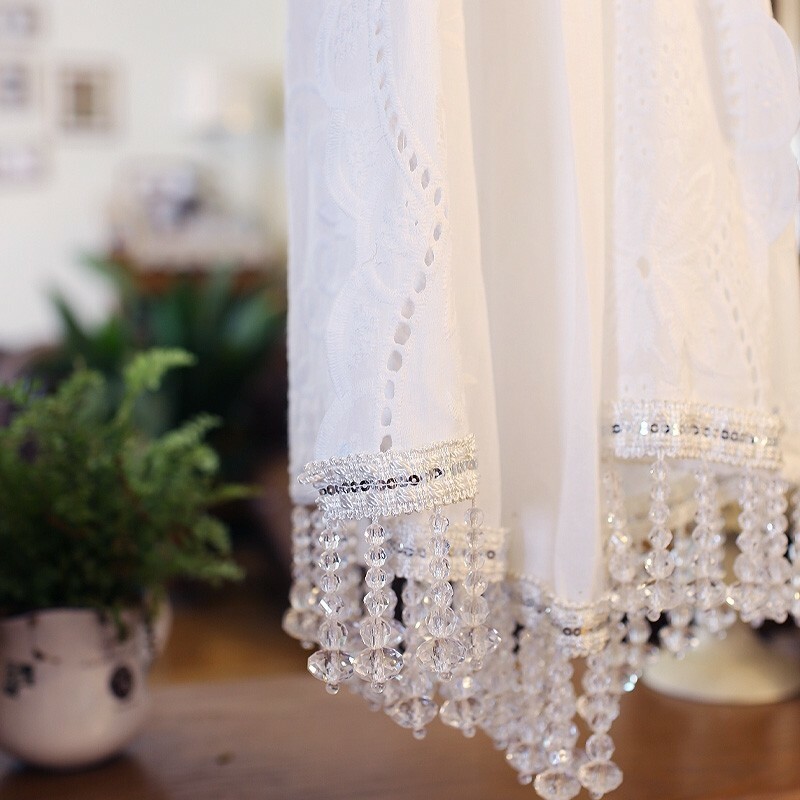 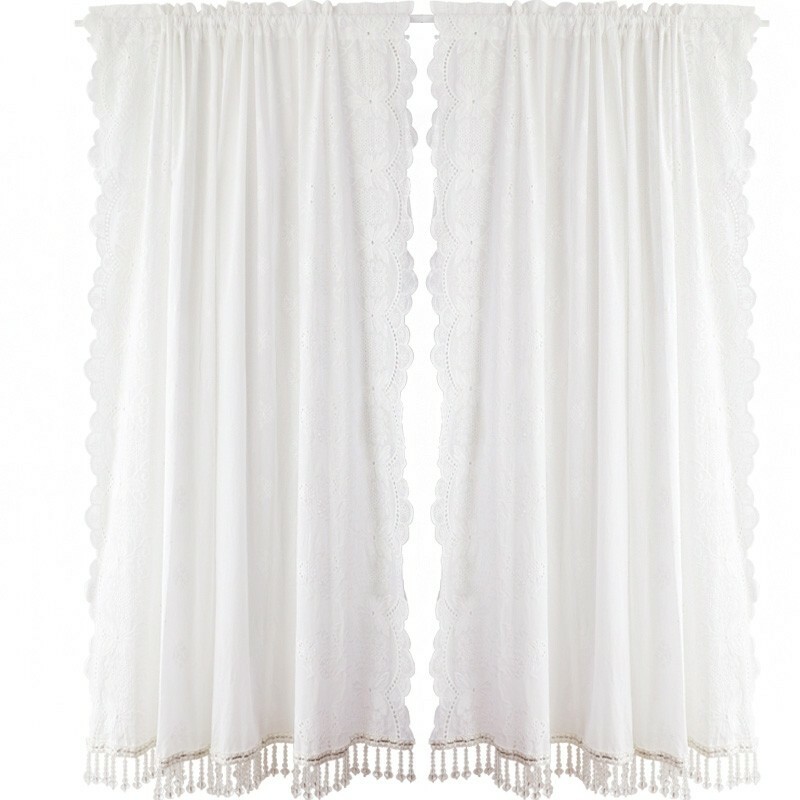 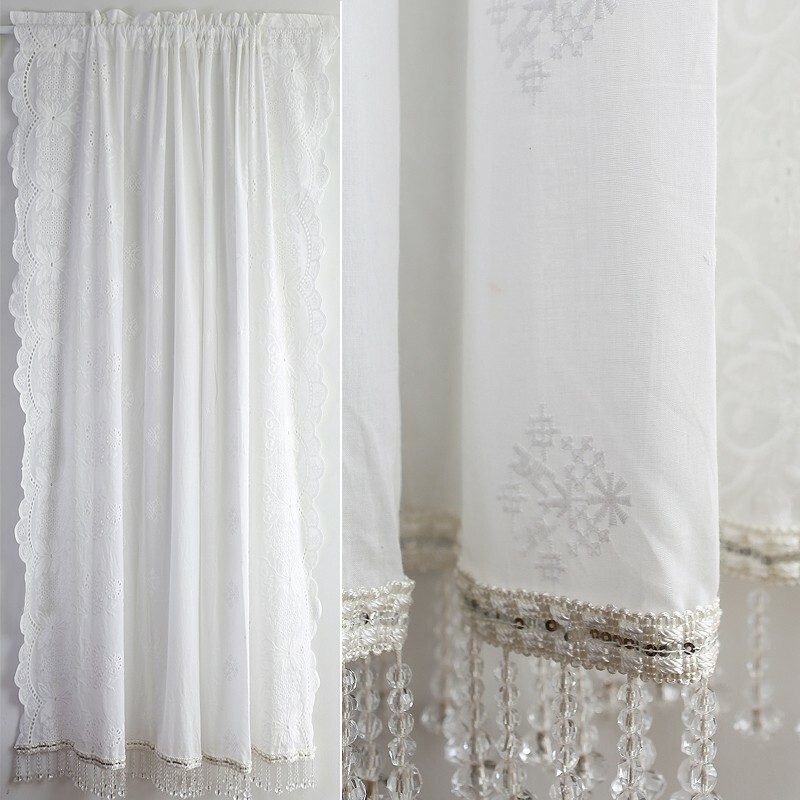 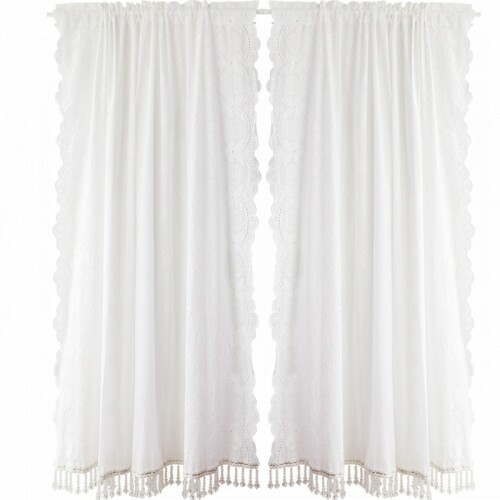 Luxury white embroidery curtain is perfect for your farmhouse /country cottage decor. One panel measures 52"W x 84" L (135 cm W x 215 cm L). 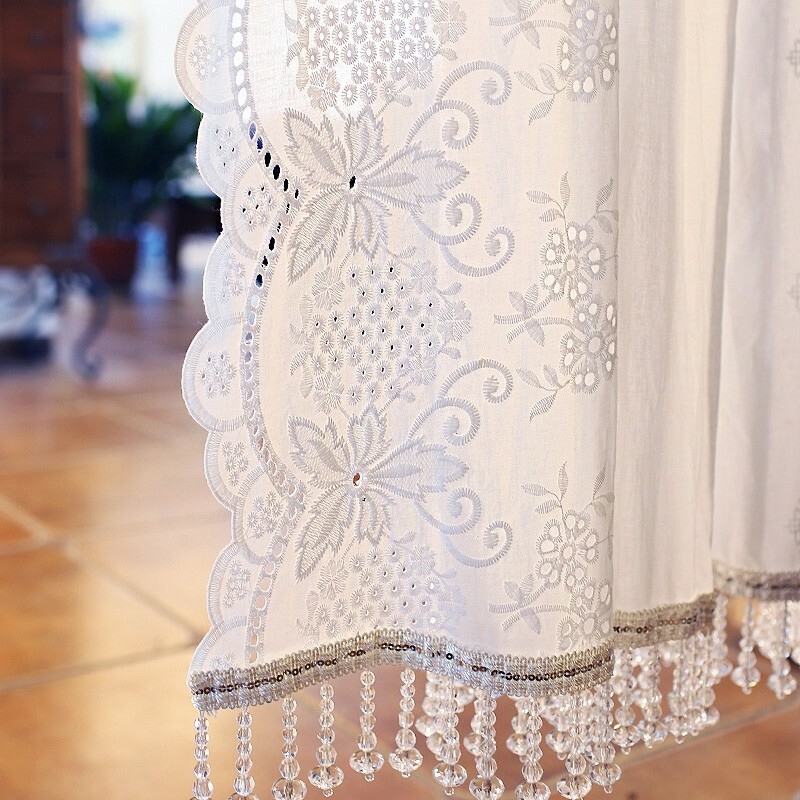 The length includes the beaded trim.